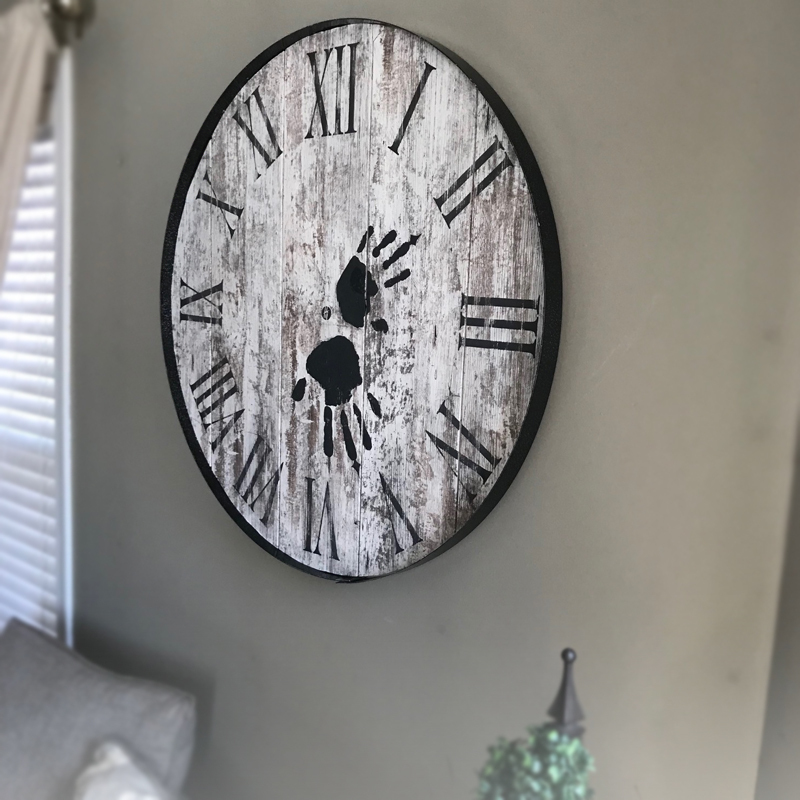 Decorative Memory Wall Clock – The Hands of Time is the perfect Home Decor gift. We are so excited to share this DIY Hands of Time Memory Clock with you. Our decorative wall clock is inspired by a similar clock Jon and I did when we first got engaged 6+ years ago. 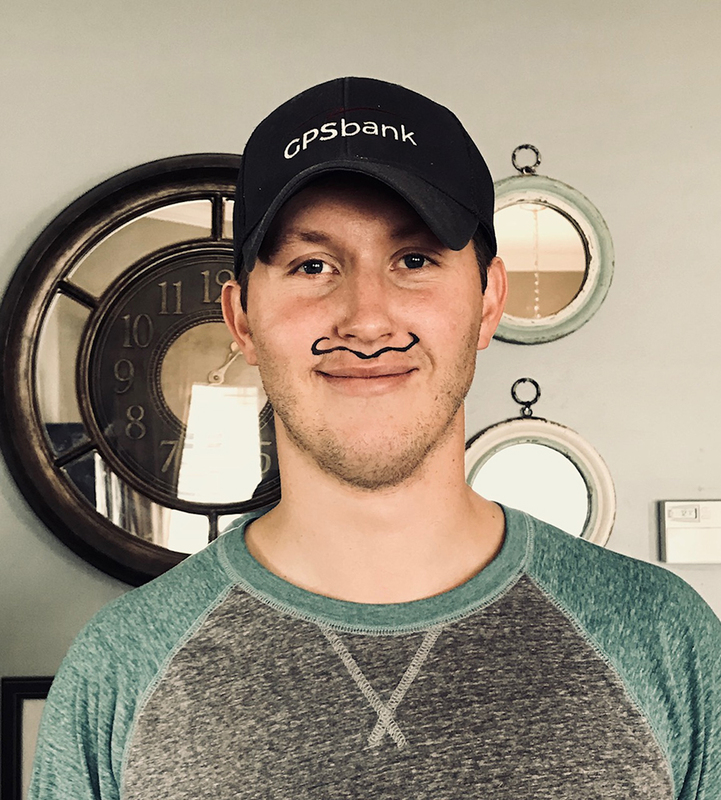 With Valentine’s Day right around the corner, we know this is the perfect time to share a meaningful custom gift with our viewers. Jon has always been good with taking our ideas and making them into more than what I had originally imagined. So, when we were trying to figure out what to do with our broken clock, our little hamsters (ideas) began running. 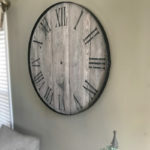 We knew we had something more than just a broken farmhouse wall clock. We had a blank canvas to make it personal with each other in mind. The decorative wall clock had to be something that told a story, had meaning, and stood out. This strategy ultimately produced the Hands of Time memory clock. Once, the piece was finished, we hung it up on the wall and had instant approval from friends who saw it. They fell in love with the idea and wanted to have one to cherish their special date as well. Wall clocks are know to be statement home décor pieces. What better way to make a statement than with a custom piece with personal meaning? 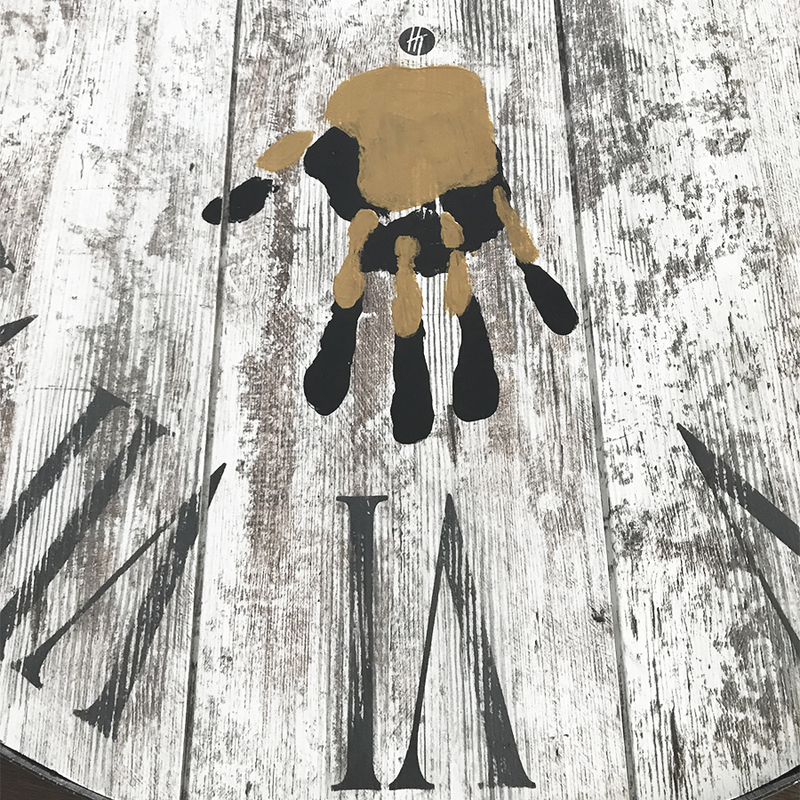 The Hands of Time Memory Clock is still one of our favorite pieces of our home décor. Not only because it reminds us when our anniversary date is, (haha) but because of its meaningful story. The whole meaning behind this piece is so much more than just a decorative date. It’s the date that we decided to come together as one and start something more than just us…. That is what Living Home Style is all about. 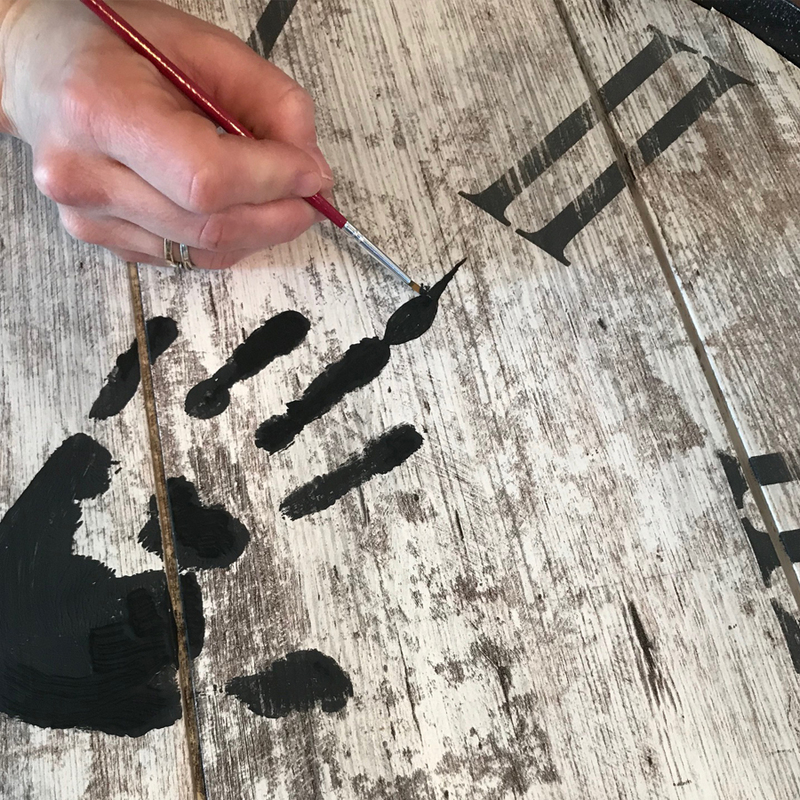 Pieces in your home that tell a story, pieces that let people know who you are as a family, and fun memories you want to cherish for a lifetime; this is the true secret of making your house into your home. These clocks have been inspired by the famous Chip and Joanna Gains. 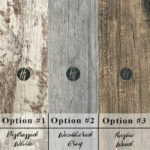 Not only is the farmhouse rustic style right up their ally, Joanna always adds in personal touches to her designs and décor when updating a house. 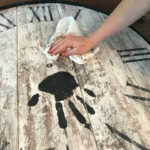 That is what we did with Hands of Time, created a personal touch on a classic home décor piece. 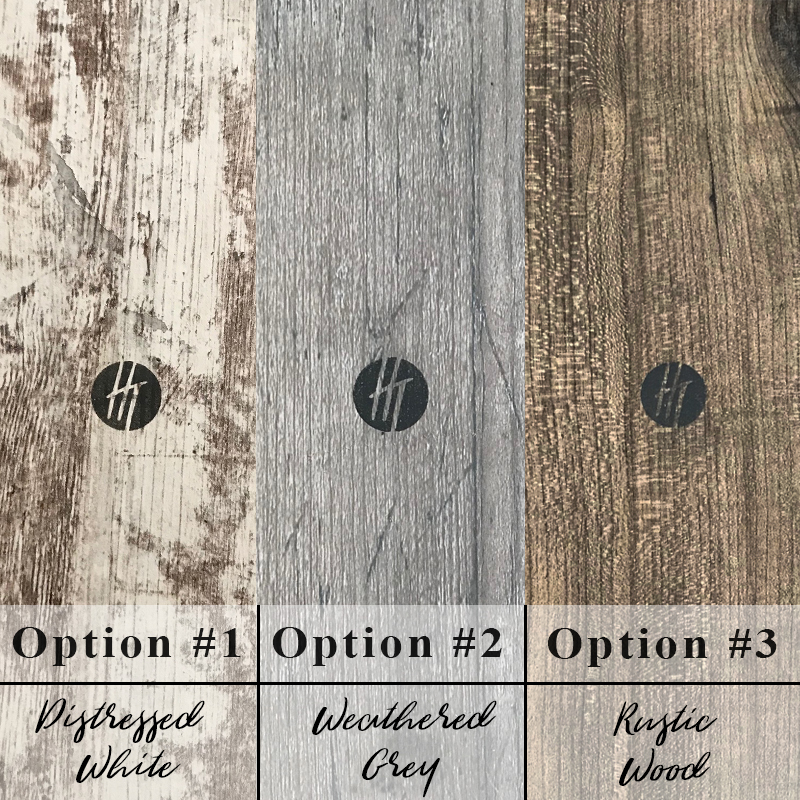 Here are a few other farmhouse style clock options on amazon you can try! 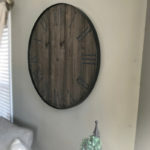 Make sure you get a large enough decorative wall clock if your ordering online to fit the size of your hands. 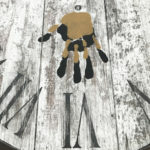 Please note, the hardware is included and must be removed in the farmhouse style clocks listed below. 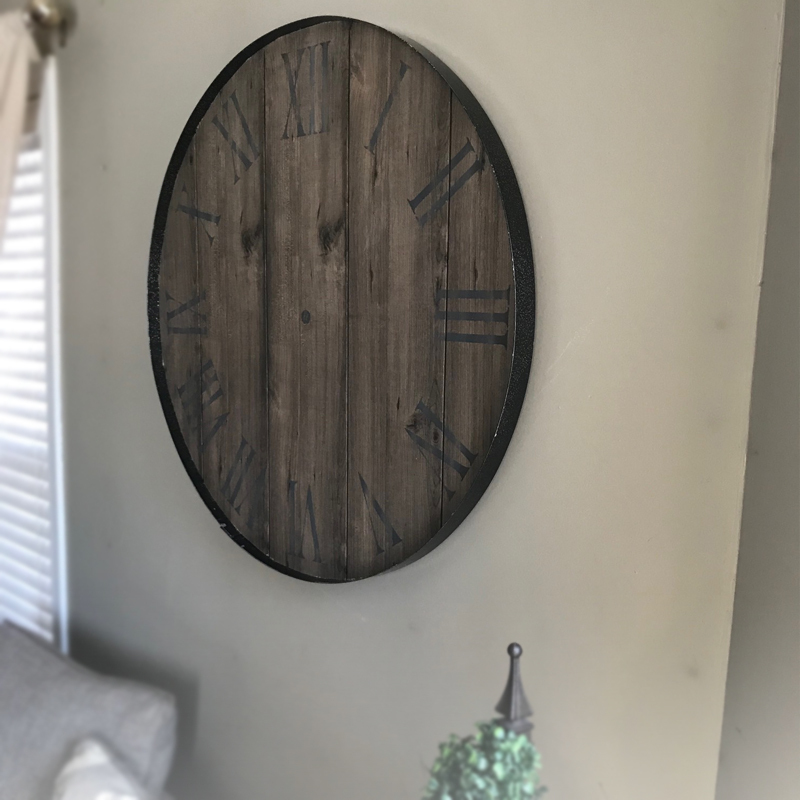 Also, most decorative wall clocks come in real wood so be prepared to do a one and done handprint on your custom wall clock. 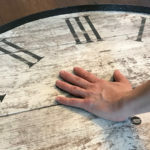 Choose the date you wish to display on your Hands of Time Clock. We use an acrylic paint like the ones listed below from Amazon. The paint cleans off your hands easily with soap and water and comes in an array of different colors… and it’s cheap! 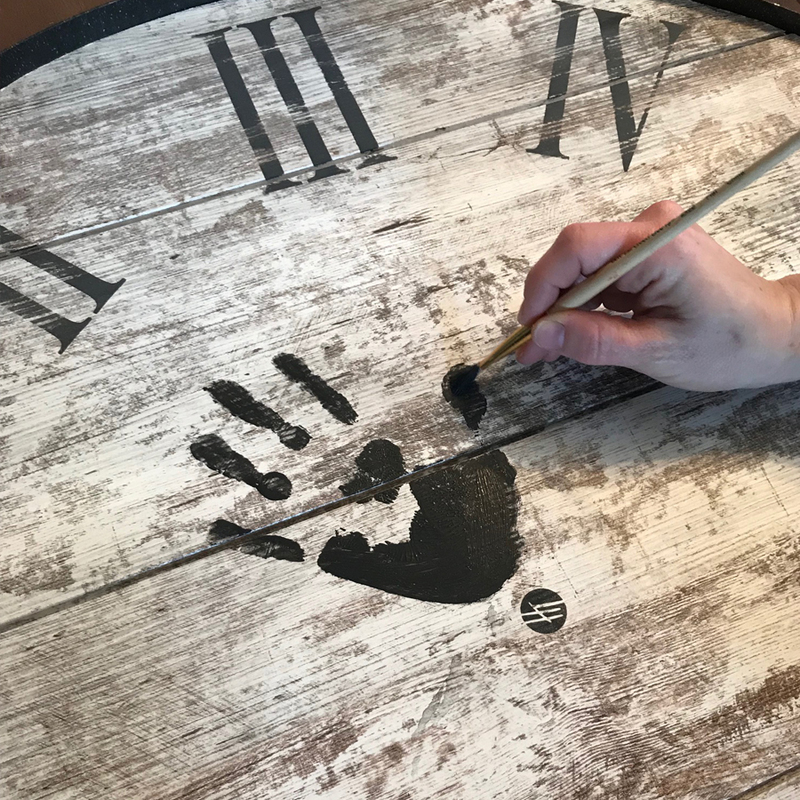 If you order from us, our Hands of Time – hand paint is included with purchase. So, no need to modify or buy anything else, we got you covered! To begin, paint your hands and place them firmly on the time or date you wish to display. Don’t forget to press firmly! 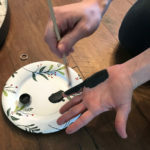 Next, you can use a brush to polish up any missed areas of your hand print. We also recommend putting a little point symbol above your middle finger on both handprints to point directly to the desired date/time. If you mess up, its ok! Our wear resistant laminate finish allows you to easily remove any unwanted paint. Warm water and a paper towel is all you need. 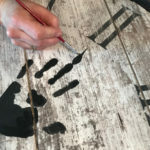 If your desired date is in a position that causes an overlap in handprints (for example: June 30th = 6:30), we suggest using another color to overlay the larger handprint. 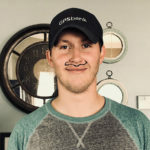 See below for image example. 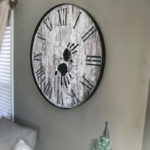 Hang your wall clock and enjoy the added personal touch you just gave your home! 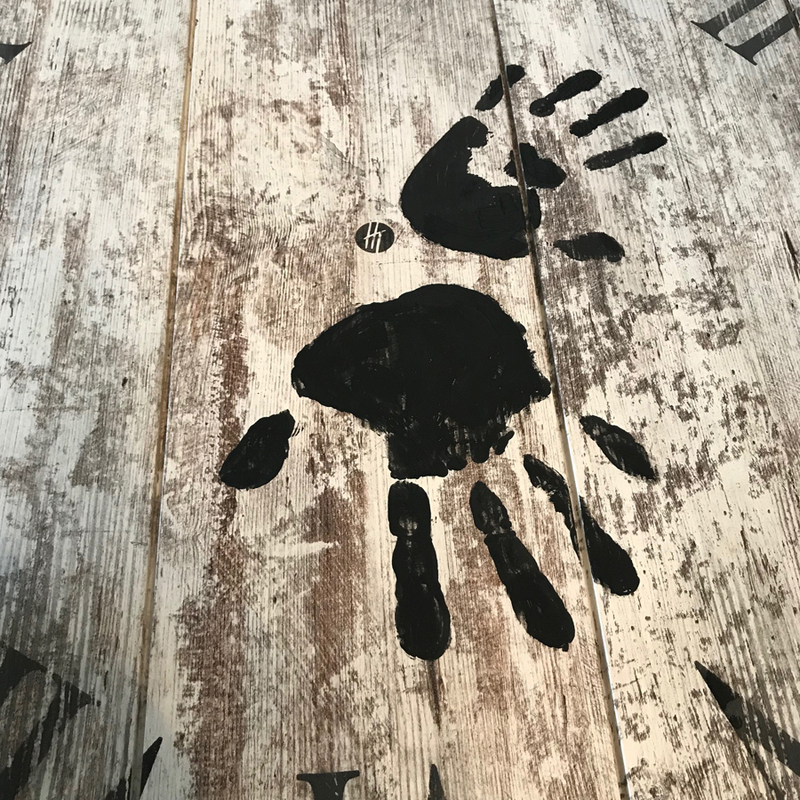 The Hands of Time Clock is a simple and fun display, that is sure to become a talking point piece in your home like it has been in ours! Just think of the fun design it will bring to your kid’s room, master bedrooms, and other living areas. 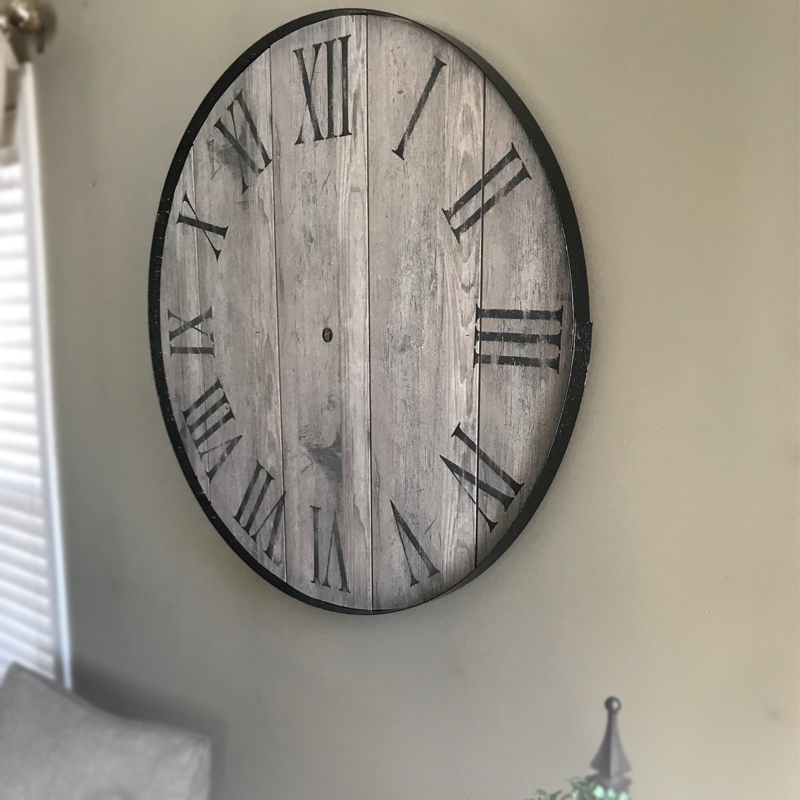 We hope you have just as much fun making this clock for your home as we did making ours, all those years ago! 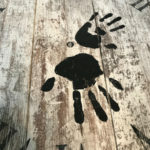 Be sure to subscribe below to Living Home Style newsletter to see more of our DIY Home Décor items to come! Also, please comment below and share pictures of your hands of time memory clocks! We would love to see how you added this simple yet stunning statement piece in your own home.